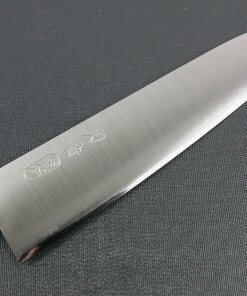 Seki city in Gifu prefecture is known by people across Japan as the city of knives. 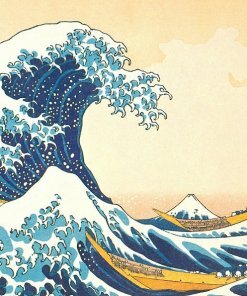 Today, I want to introduce you to some of their most famous products. 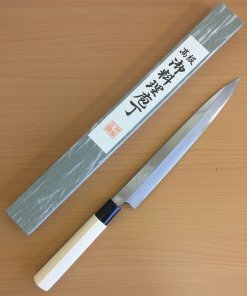 This way, we can figure out how and why this small city in central Japan became known as the knife capital of that country – and maybe even the world! 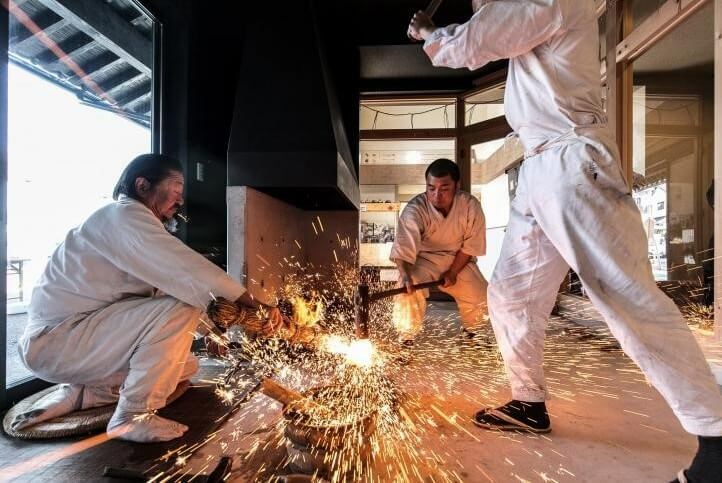 With a long history of bladesmithing, the artisans at Seki have perfected and continued their ancient art by adapting traditional smithing methods to modern needs. 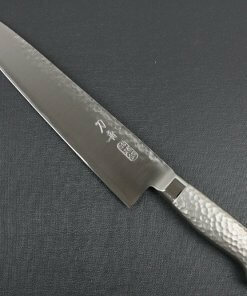 Making the jump from war blades to kitchen knives, Seki artisans continue to be the leader in Japanese smithing and knife craftsmanship. A train ride away from Nagoya, Seki is easily accessible from both Kyoto and Osaka, making it a great place to not only get world-class knives, but also a much needed break from the city. 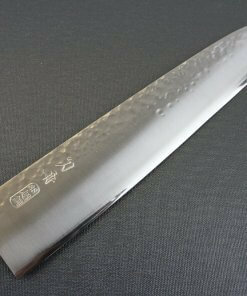 Let’s find out what makes Seki craftsmanship and next to none. 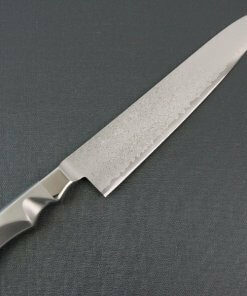 The history of bladesmithing in Seki reaches back almost 800 years to the Kamakura period, when it said that the first sword maker moved to the area in today’s central Gifu prefecture from south western Japan. 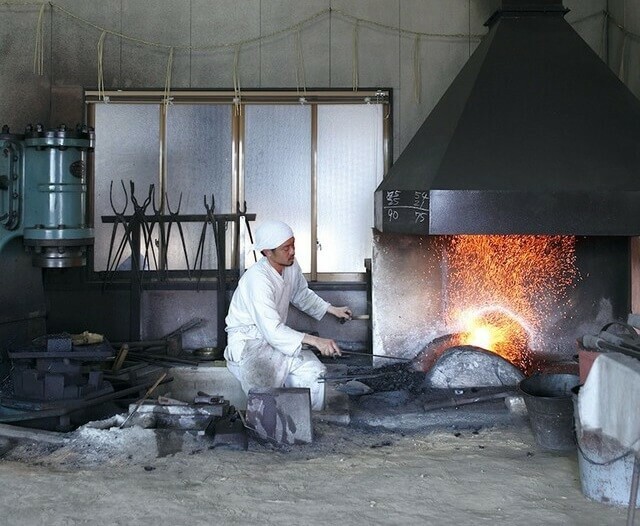 The clear waters of the nearby Nagara and Tsubo rivers continue to provide the local artisans with a source to cool their forged blades, while the local clay and pine coals which first attracted the oldest blacksmiths are still used today in the workshops across Seki. It was these natural resources which are said to have initially attracted artisans to the area. Today, these same beautiful waters, rich soils, and hearty fuels are what help keep the forges burning in workshops throughout Seki city. 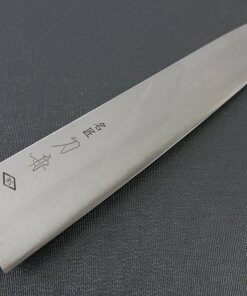 In feudal Japan, the blades made in Seki quickly became famous with warlords and samurai who appreciated their strength and sharpness. 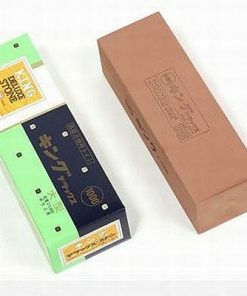 Indeed, these two features continue to make Seki knives a worldwide hit. 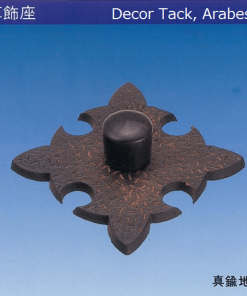 Magoroku, Seki’s most famous swordmaker, began his traditional crafting method blending four types of steel into a composite blade here during the Sengoku or ‘Age of Warring States’ (1460s-1560s) period. 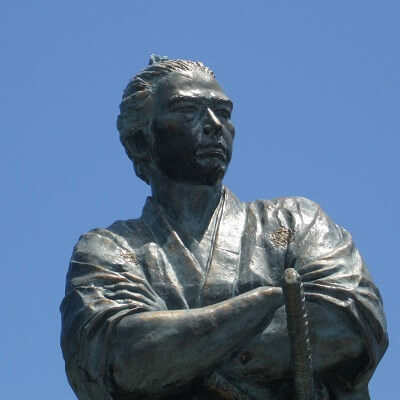 Personal swords were prohibited in 1876, but the bladesmiths of Seki did not give up their trade. 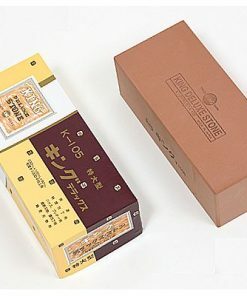 Instead, they applied their honed skills to a more peaceful product: personal cutlery, kitchen utensils, and the now famous Seki chef knives. 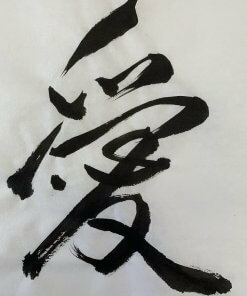 Thus, their traditional method and legacy continues to make its way into Seki blades forged today, the best of which bear the name and mark of the master Magoroku. 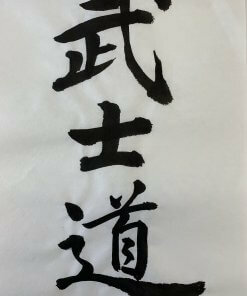 Today, many Seki artisans undergo an apprenticeship, much like the ancient swordsmiths of the past. 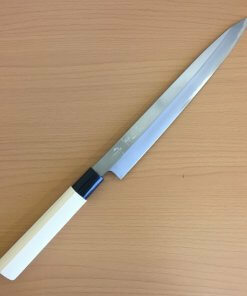 These are the creators of the famous blades now found in homes and restaurants around the world. 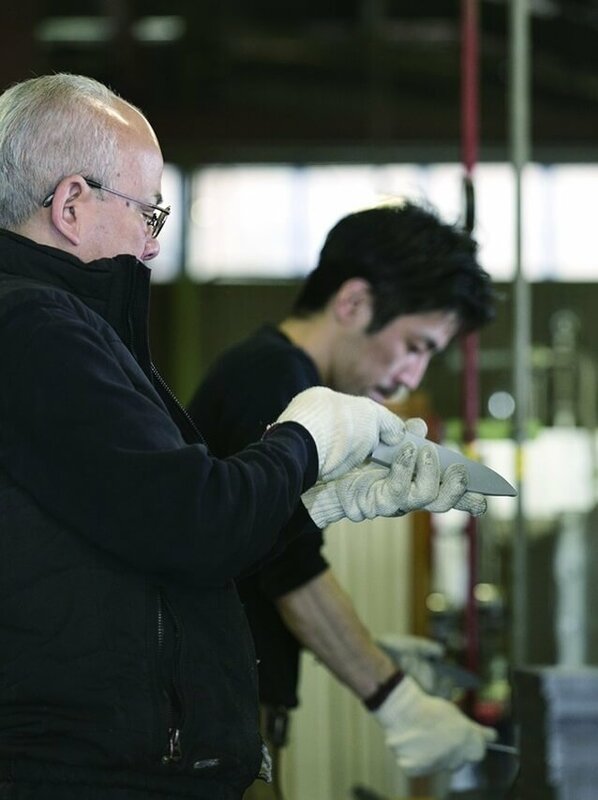 The various types of steel used to craft Seki knives provides customers with a number of choices when selecting the right blade for them. 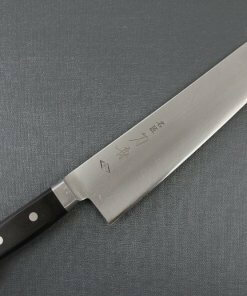 Moreover, this variety ensures that there is a knife to match any budget. 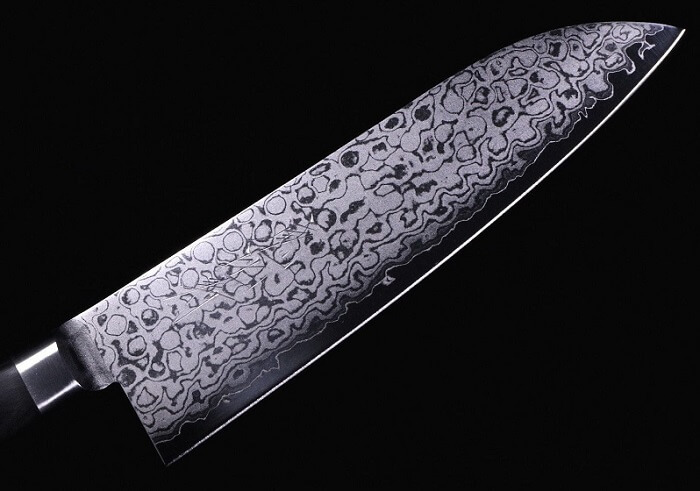 Damascus steel is perhaps the most attractive, flashy compounds. 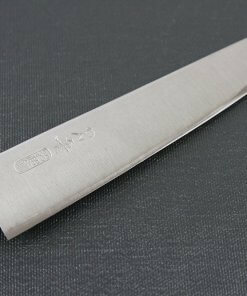 These blades shimmer with their treated or exposed exterior. The many folds each artisan puts into the steel of the blade (up to 60 or more!) appear on its surface after completion, allowing us to see the intricacies of its composition and craft. 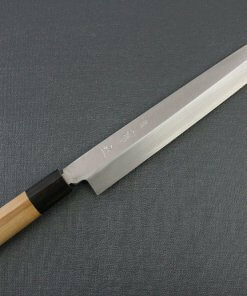 For the high-rolling kitchen master, this is the knife to have. 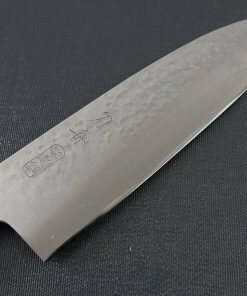 Retaining this beauty requires careful attention and maintenance however, so amateur, at-home cooks like me are perhaps more likely to be interested in the other types of blades available. 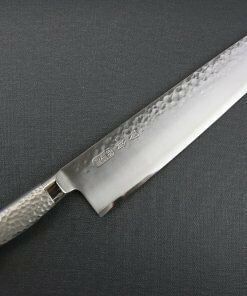 Nevertheless, as a showcase of the high end skill of Seki artisans, these Damascus steel blades are sure to impress. 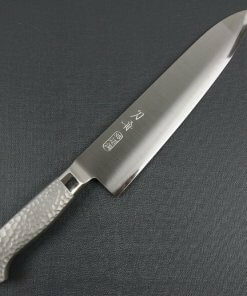 Next, let’s take a look at what other knives Seki has to offer. 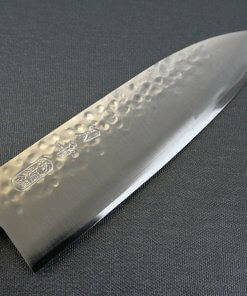 Stainless steel offers the at-home or amateur chef the best performance and reliability at a reasonable price. 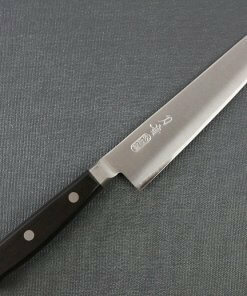 The cost performance of a stainless Seki knife will keep your home kitchen running smoothly for decades. 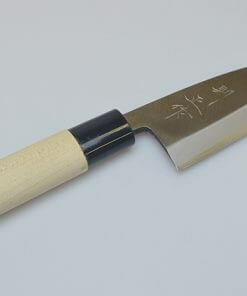 Moreover, it ensures the lightweight, balanced feel for which Seki, and Japanese knives in general, are so famous for. 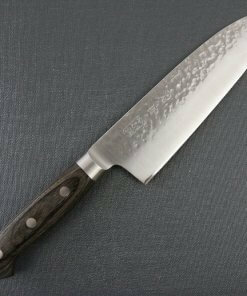 Stainless are easier to maintain and less likely to chip than their ceramic or more flashy counterparts (I’m looking at you, Damascus). Moreover, they won’t attract bacteria to small or intricate areas as they have a uniform, flat face and edge. Finally, as we all know about stainless, these won’t rust! 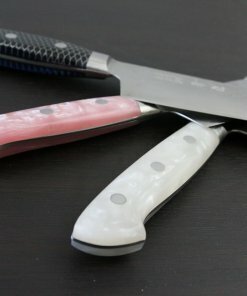 This is a huge benefit to the amateur user who is looking for a knife to quickly pick up, use, wash, and put away before a meal at home or while in a rush. 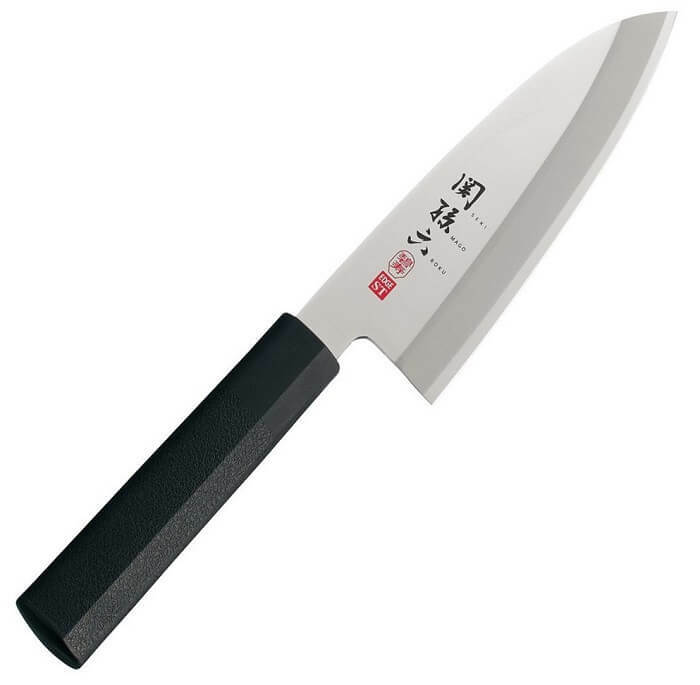 For these reasons, a stainless steel Seki knife is the best value for an at home cook who wants to enjoy the traditionally crafted historic tools of the knife capital of world. As we have seen, history and tradition is alive and well in Seki. 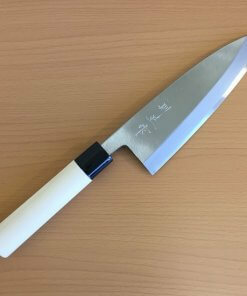 For those who can make the trip, the city offers visitors a number of chances to get close to the action and see for themselves the labour that goes into each and every Seki kitchen knife. 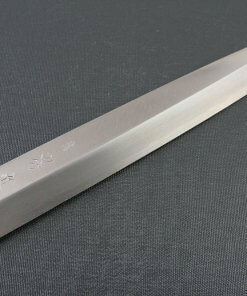 Additionally, visitors can learn about the history of swords and sword making which made Seki famous in the first place. 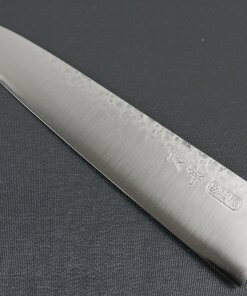 By understanding the transition artisans made from sword to knife making, we can see for ourselves what makes a Seki kitchen knife so different from its competition. 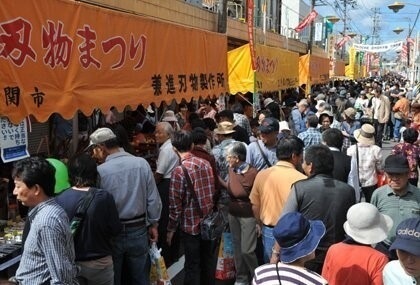 For those interested in more, the annual blade festival in Seki is a must see. 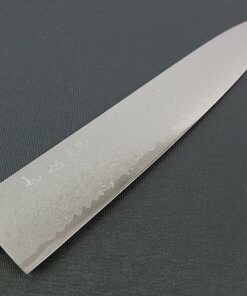 For the rest, taking up a Seki knife in your home kitchen will be enough to remind you of the traditional art and craftsmanship that went into your authentic Japanese knife. There is a reason this small city and their multigenerational group of artisans is known around the world! 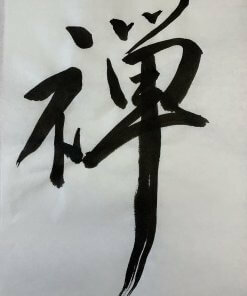 The Seki tradition continues to thrive, now enjoying its well-deserved global recognition and fame. 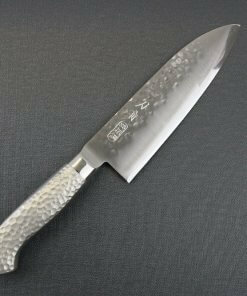 Keeping your eye out at knife shops at home or abroad, you are sure to come across one of these traditional works of art.